The team at Dental Care Bridgewater is able to offer every cosmetic dental procedure from start to finish in our Bridgewater New Jersey location. 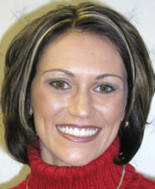 These include veneers, bridges, whitening and implants, orthodontics and so much more! The team has extensive training in cosmetic dentistry and work with the finest dental laboratory. We continue to stay up to date through membership and study with the American Academy of Cosmetic Dentistry. Our imaging software allows you to see the finished treatment before you start.